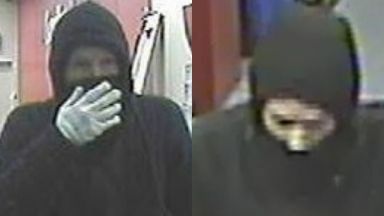 Police have released images of a man they believe can help with their investigation into two armed robberies at bookies in West Lothian. A William Hill branch on Uphall Road, Pumpherston, was targeted at around 8.15pm on Wednesday, March 27. 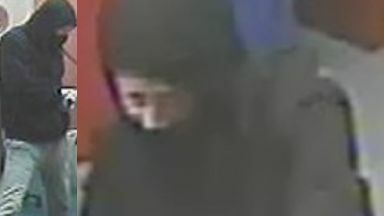 A few weeks later, on Thursday, April 11, a Ladbrokes shop in the Carmondean area of Livingston was raided at around 8.20pm. Detective sergeant Ally Urquhart said: "These were frightening incidents for the staff who were fortunately unhurt. If you have any information that could help the investigation, call 101 or Crimestoppers anonymously on 0800 555 111.